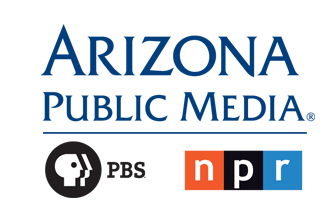 Have you ever wondered why our newscasts from NPR begin at one minute past the hour, instead of straight up like most other things on radio and TV? It's because the newscasts are designed to be embedded into whatever else NPR (or local stations) may have on the air. A show begins with a one-minute segment teasing what's coming up later, and then there's a break for news. It's all part of a very complicated clock system that is not broken down into 60 (or even 12) neat divisions. You'll find the details here. "Many in the managerial class, especially those who first trained as musicians, care deeply about the rich, variegated, and complex history of classical music, but can find no practical way to offer that history to like-minded patrons. Instead they work with a caricature of the audience, dividing it into two classes, one made up of younger, adventurous listeners willing to try anything, and the other composed of older, problematic ones, who want only Beethoven’s Fifth night after night. But the serious listener, who is adventurous and critical, open and discriminating, does not fit into either of these categories. Among the most worrisome signs for the orchestra is how little concern there is for listeners who care deeply about the infinite variety of orchestra music—Mozart, Mendelssohn, or Lutosławski—but have little use for syncretic hybrids. As always, there is an economic explanation for the marginalization of the serious listener: interesting repertoire takes more time to rehearse, it is difficult to market, it cannot be repeated with the frequency of more popular fare. And serious listeners are resistant to the basic ideological sleight-of-hand behind so much programming: they do not believe that trivial music is worth the same investment as the core repertory, and so they vote with their feet and stay home. This gets them marked as fickle supporters of the civic institution." You'll find the entire essay here. Read here how Benjamin Franklin's desire to produce a simplified English phonetic alphabet would have deprived us of our rights to the letters C, J, Q, W, X, and Y. Imagine how the sponsorship of Sesame Street would plummet! James Reel's cranky consideration of the fine arts and public radio in Tucson and beyond.